Created by Godiva's Chef Chocolatiers in an act of pure culinary alchemy, our indulgent blond chocolate is crafted from a blend of white and milk chocolate that is infused with crystals of buttery salted caramel. Crunchy, sweet and velvety, it's sure to become a ' new classic'. 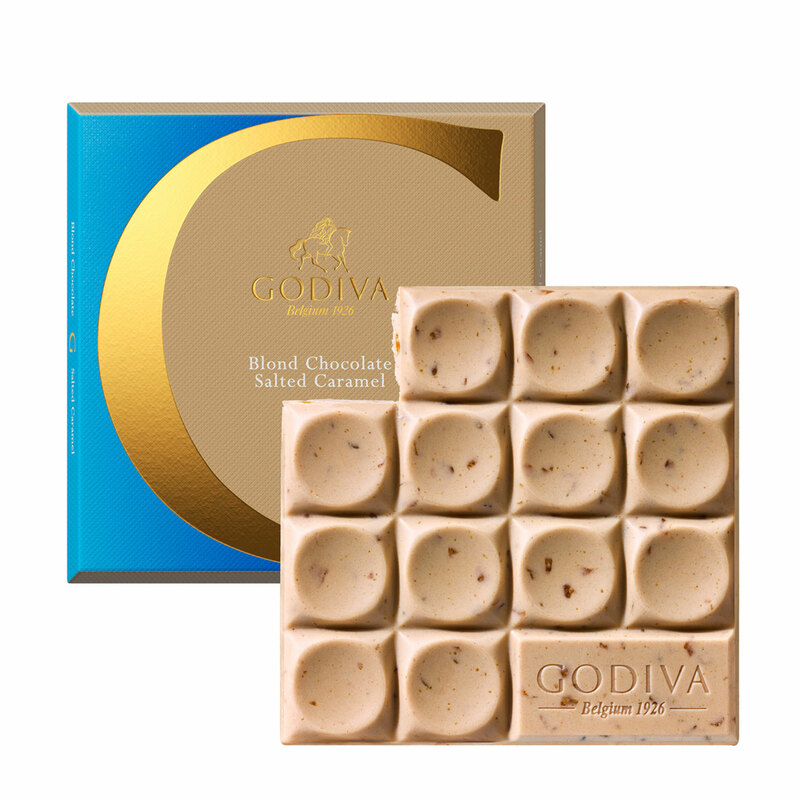 Each G by GODIVA chocolate tablet contains the most delicious and highest quality ingredients. Each tablet is moulded into artisanal curved tiles and wrapped in luxurious, gold-embossed paper.